Posted on 03/23/2019Happy National Puppy Day! Most lawyers charge by the hour. Even some lawyers that handle personal injury or wrongful death cases charge an hourly rate. Some require retainers to get started or the expenses paid as the case goes. Let me be clear right up front: this is NOT how we do business here at The Button Law Firm. Contingency fees are dependent on the case being successful, which means that there is a recovery. If there is a settlement or judgment, then the contingency fee is collected. If there is no settlement or judgment, then you do not have to pay us and we do not collect our case expenses from you. The reason we operate this was at The Button Law Firm is to allow injured folks and families that have lost their loved ones an alternative door to the Courthouse. Most people I know cannot afford to pay an attorney hourly like the insurance defense lawyers or corporate attorneys get. Just because you cannot afford to pay an attorney as the case proceeds does not mean your case doesn't have merit. In every personal injury or wrongful death case, there are necessary case expenses. This is different than the attorney fees discussed above. Attorneys fees is the money paid for the law firm's time and knowledge to handle the case. Case expenses are what the trial lawyer pays to others to handle your case. These costs can run into the thousands or hundreds of thousands on some cases. We handle all case expenses on every case. This allows you to have little financial risk in using The Button Law Firm for your personal injury or wrongful death case. If we win, these are reimbursed out of the settlement or judgment. When selecting a lawyer for your case, ask them if they will require that the case expenses be paid back to them even if they do not win the case. Some lawyers do this. We do NOT do this. If we don't win the case for you, then you don't owe us money. What is the contingency fee percentage? Since every case is different, so are the contingency fees. Most lawyers charge 33.3%, which is also known as a third of the total settlement or judgment, if the case settles without a lawsuit being filed. Then, there is a bump up to 40% if the lawsuit is filed. You will see some lawyers jump to 45% if it is a complex or difficult case. Be careful, you may see some lawyers offer you a 15% or 25% contingency fee contract. While that seems like a good deal for you, it may be too good to be true in the end. How many cases do they have to handle at their firm working on that percentage? You get what you pay for. At The Button Law Firm, we keep it simple. We work off a 33.3% contingency fee if the case settles without a lawsuit and a 40% contingency fee if the case is filed. We strive to meet your every need on the cases and thoroughly work them to completion. How much is an initial call? The initial call and meeting with us is free. At our initial meeting, we will answer all questions you have as well as discuss the details of your case. It does not cost you a thing. 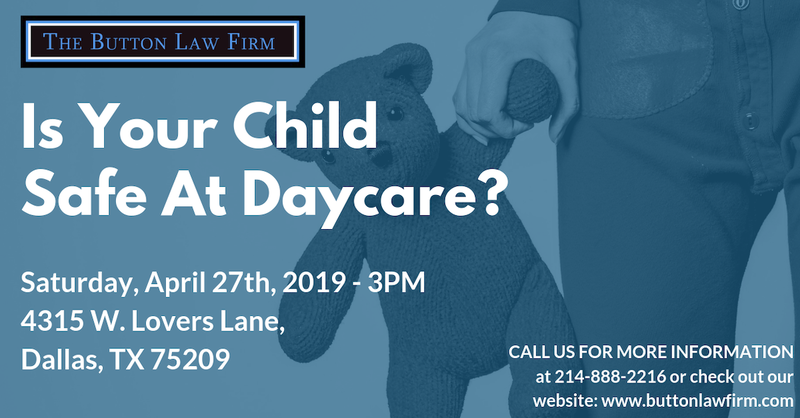 Give us a call at 214-888-2216 or email to set up your free initial meeting with us. I encourage every one looking for a personal injury or wrongful death trial lawyer to read my free book called The Essential Guide For Your Texas Injury Case. It is a great resource to understand these types of cases, the process of a lawsuit, and how to find the best lawyer for your injury case. We are here to help you.